The University of Tulsa’s growing engineering program increased the University’s need for student housing and general-purpose academic space. 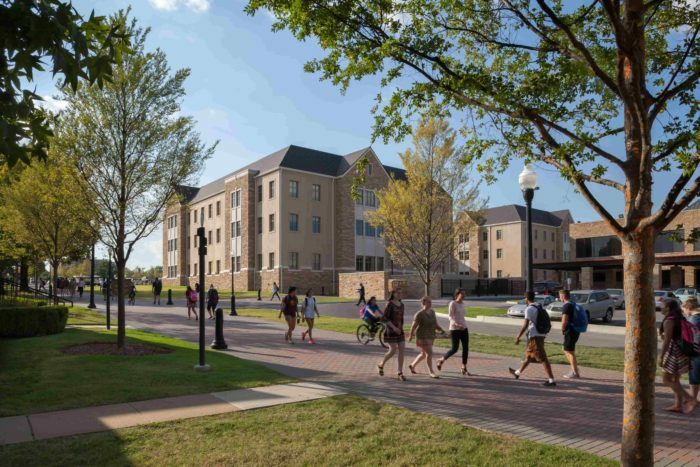 Located near the center of the TU campus, Hardesty Hall, a three story structure with a fourth-floor attic and a full basement, serves as both a residence hall and as administrative space. 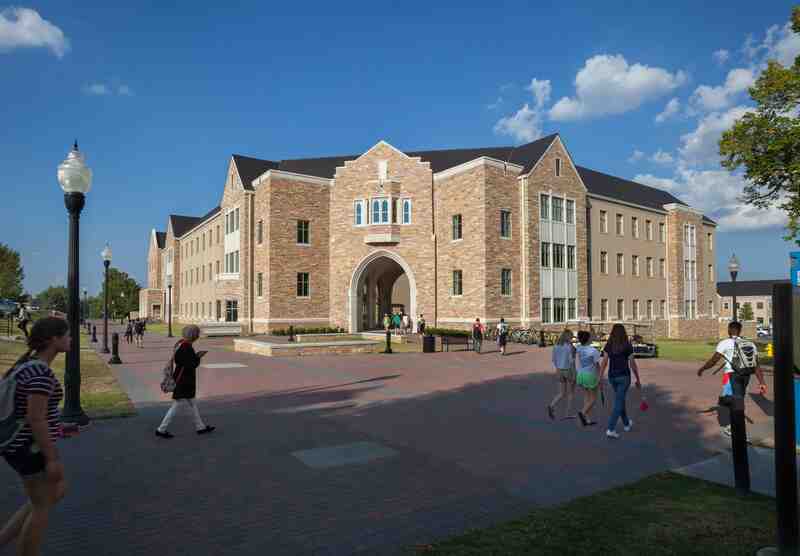 The new Hardesty Residence Hall accommodates 310 students in four-person suites with a shared bathroom. Each floor includes group study and lounge space. The new Holmes Student Center in Hardesty Hall reflects the University of Tulsa’s commitment to their international student community. 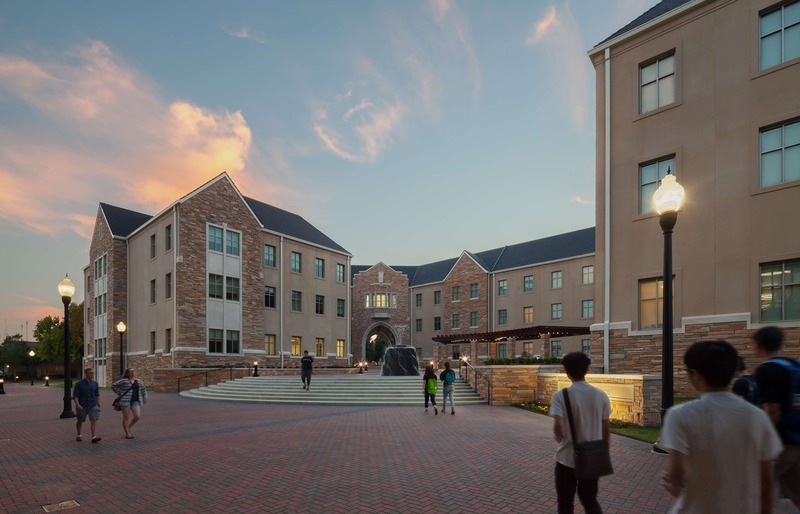 The International Student Services (ISS) Center consolidates functions that were previously dispersed across campus, including classrooms and tutorial spaces, as well as ISS faculty and administrative offices. 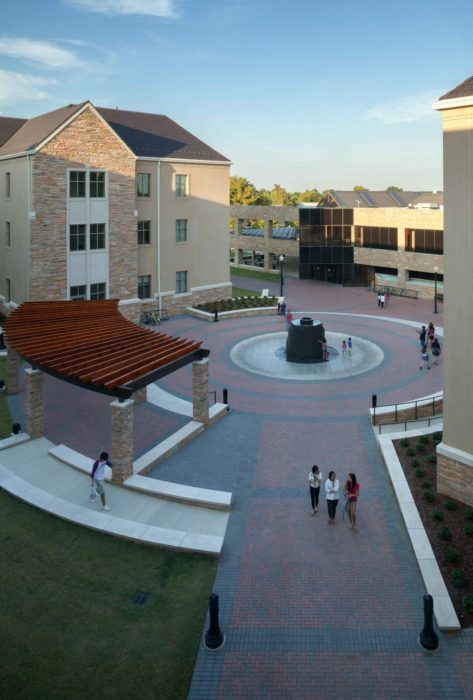 The Student Center is also home to the Dean of Students, the Multicultural Resource Center, the Study Abroad program and the Career Services Center. A plaza between Hardesty Hall and the Allen Chapman Activity Center, the campus’s student union, includes a 60,000-pound, custom granite fountain shaped like a hurricane.